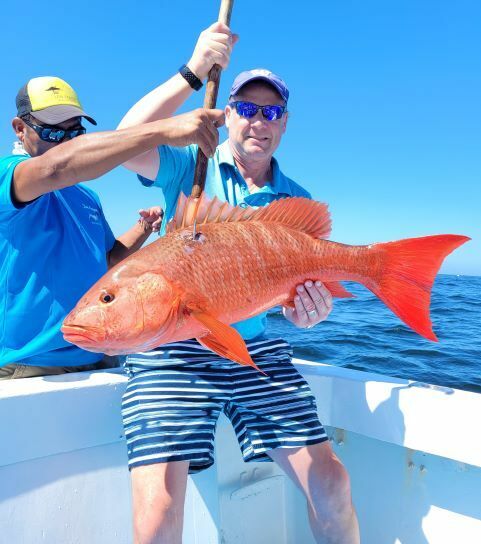 The fishing has been great most days here in Puerto Vallarta and Nuevo Vallarta. The water temp has been around 75 deg. with the warmer spots producing tunas. The hot spots have been close to El Banco,corbetena and just around islands off Punta Mita. The roosterfish and snapper have been schooling there most days. The roosterfish are huge and snapper or pargos as we call them are up to 50-60 lbs. The sailfish have moved and are hanging just outside of Lo de Marcos feeding on sardines. The sardines seem to be everywhere and this is holding all kinds of fish inshore and offshore The weather has been perfect here in Vallarta 60 deg at night and around 80 deg during the day. The sea have been almost flat with winds in the 10 knot range. There also have been no shortage of whales here for our clients to see during our fishing trips.